Total Artificial Heart Technology: Where Are We Now? Penile Reconstruction Versus Transplantation: Which One Is Ideal? 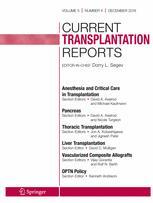 Experimental Models of Penile and Lower Limb Transplantation: Are They Really Translational?